The 1st Menai Bridge Scout Group has received £21,900 from the Heritage Lottery Fund (HLF) for a challenging project to explore the role of Snowdonia and Anglesey Scouts and Scouting during World War One. The Explorer Scouts, 14- to 18-year-olds, will be working in partnership with Menai Heritage on this ‘Young Roots’ First World War Centenary Project. “Our Scout Group was founded in 1909, although it closed temporarily in 1916 as the Scout Masters had gone to war. We stand on the shoulders of giants and, 100 years on, now is the time to find out about our heritage,” says Stephen Mudge, Project Lead and Explorer Scout Leader, 1st Menai Bridge Scout Group. The Scout Association states that its purpose is to actively engage and support young people in their personal development, empowering them to make a positive contribution to society. 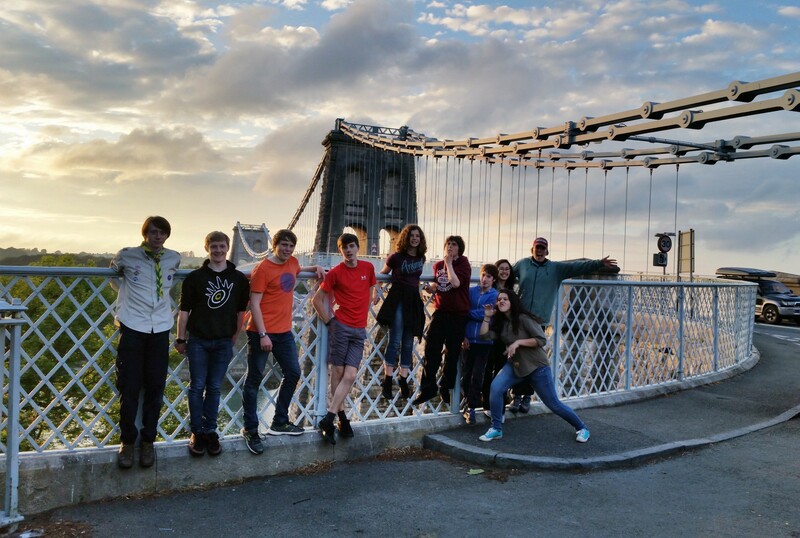 The Menai Bridge Group is a lively and adventurous group with 20 Explorer Scouts and 90 members across the 6- to 18-year-old age range. They are supported by a dedicated team of adult volunteers to deliver their adventurous programme of Scout activities. Explaining the importance of the award Richard Bellamy, Head of Heritage Lottery Fund Wales, added: “We want to help as many communities and people as possible across Wales to commemorate the First World War and to recognise the long-lasting impact the conflict had on their communities. It is so important for young people in particular to learn about their past and thanks to Lottery players money, this Scout group will get the opportunity to deliver their own heritage project, develop a range of new skills and share with others the important story of how the First World War had an impact on their Scout group and local area. The project will be delivered and presented in Welsh and English and includes developing research skills, recording findings, building an archive, photography, videography, creating displays and using social media platforms to share knowledge. Working with Menai Heritage, the local Scout Area Archivists, local historians, the Anglesey Archives Service, the National Museum of Wales and the Scout Association Heritage Collection, a number of research adventures are planned. The Explorer Scouts will also work towards several different badges within the Scout badge programme and the project contributes towards their Queen’s Scout Award and Duke of Edinburgh’s Award. For more information, to join Explorers, to volunteer or to offer assistance, please contact Jo Quinney, Group Scout Leader, by email at scouts@qmpr.co.uk.